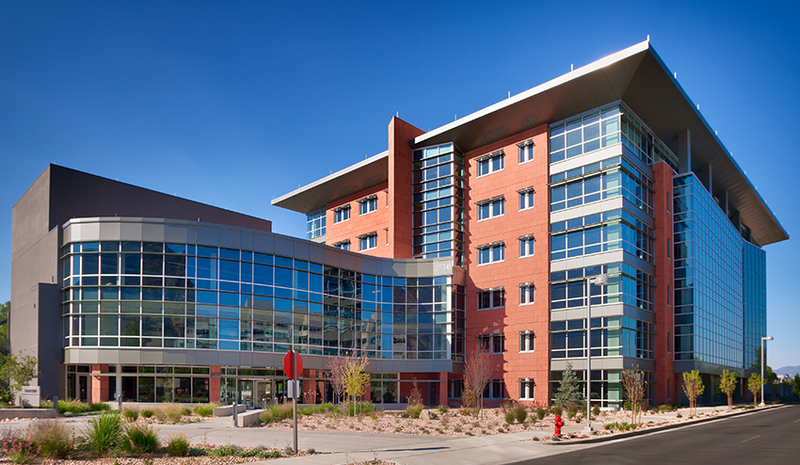 On this sandstone-clad rainscreen project, careful coordination between subcontractors was key to the project's success. 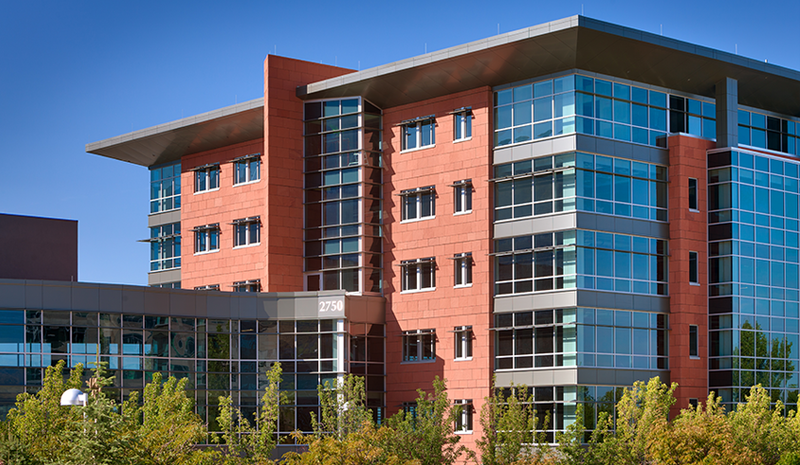 KEPCO+ worked closely with the framing and glazing subcontractors to size the exterior stone movement joints necessary to accommodate seismic drift. Additionally, portions of the stonework were restrained by the adjoining window system. For example, the metal window sills were installed first and the bottom of the sill was used to restrain the top of the stone below. 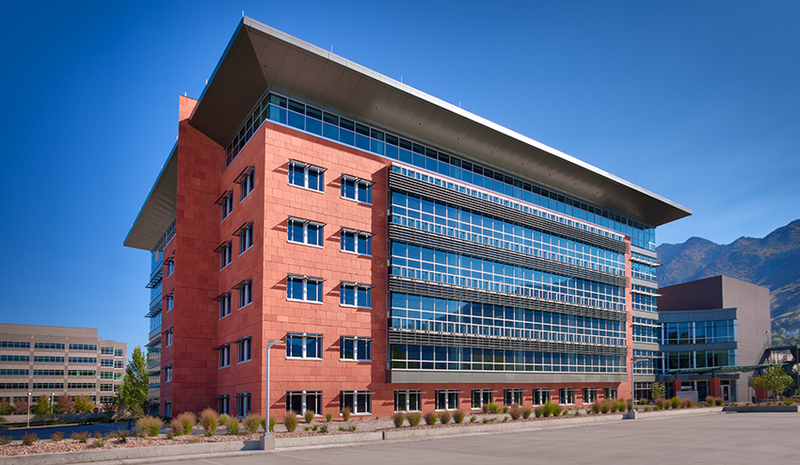 The KEPCO+ team worked closely with the curtainwall contractor to ensure the systems worked together correctly. 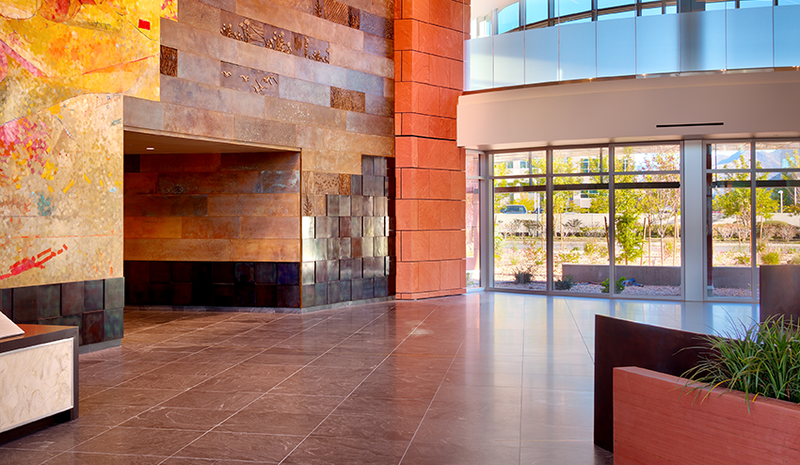 In addition to the exterior cladding, KEPCO+ also installed a total of 8,133 SF of honed Virginia Mist granite flooring in the main lobby of the building. 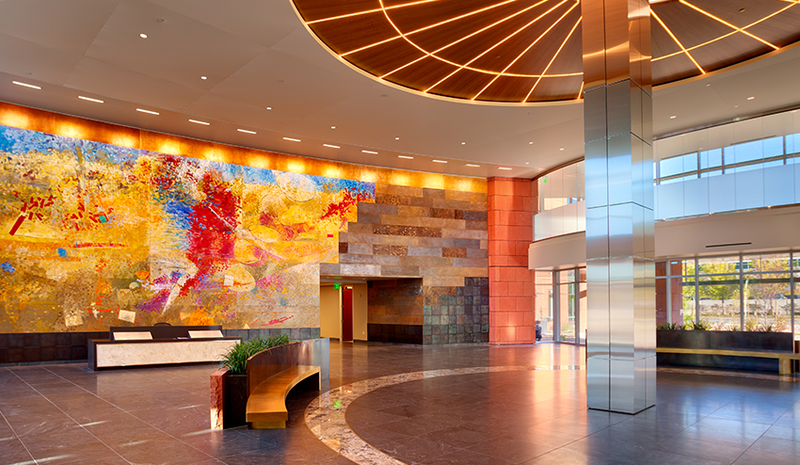 The Indian Red sandstone walls from the exterior were continued into the lobby, creating a striking contrast with the adjoining artwork wall and the granite floor.